Hosting a cocktail party this holiday season? Here are some tips to make sure your event goes off without a hitch. – Having a space dedicated for the bar is a must! If you are hosting a large party, it’s even a good idea to have two drink stations in different areas to avoid long waits and bottlenecks. 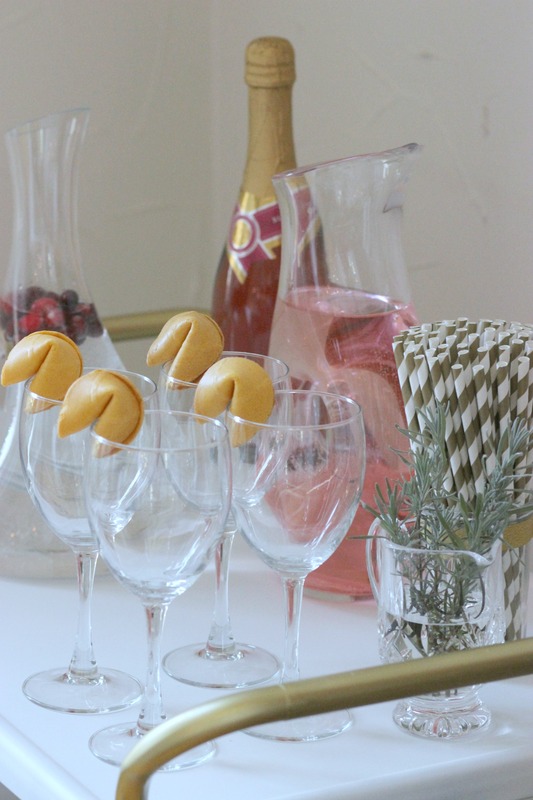 – Bar carts are an easy when it comes to creating a designated space for drinks. – Don’t have a bar cart? You can create a bar on a buffet, media console, kitchen counter or even a desk. – Make sure your bar isn’t too close to your buffet or dining table – don’t crowd all your spaces into one area, let things flow to prevent traffic jams. – Put the best booze on top: if you have a bar cart, put the most popular drinks on top for easiest access and stash the backups below. – Ditch the full bar: there is no need to offer every kind of liquor, mixer and garnish. Instead, focus on one or two signature drinks, a red wine, a white wine, a beer, and definitely a sparkling wine. – Signature Drinks: A signature drink can be a money saver and a time saver. Mix up a big batch, give it a fun name, and let guests serve themselves. – Non-Alcohol: Don’t neglect the non-drinkers. A citrus punch of orange juice, cranberry juice and ginger ale is always a good option. – Organize with trays and bowls: Use trays to compartmentalize glassware, booze, and garnishes. 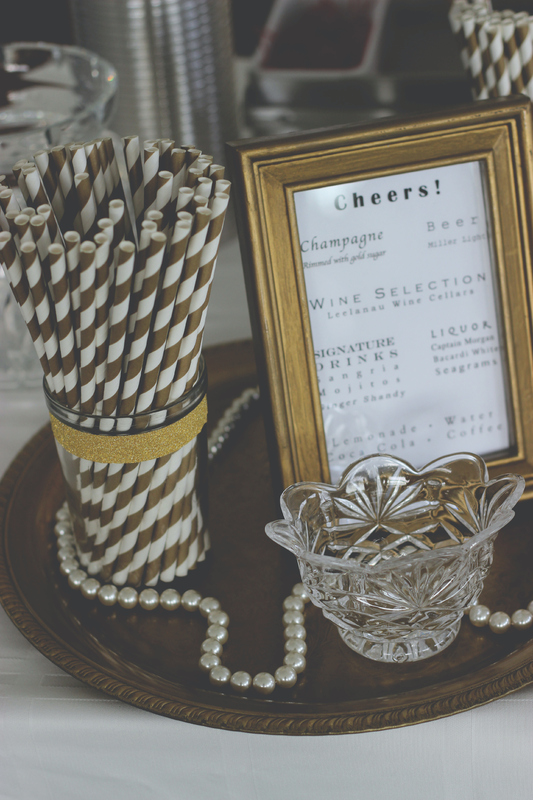 Use bowls to display the garnishes, bar tools, toothpicks, swizzle sticks, and stylish straws. Don’t be afraid to mix up the styles and sizes. 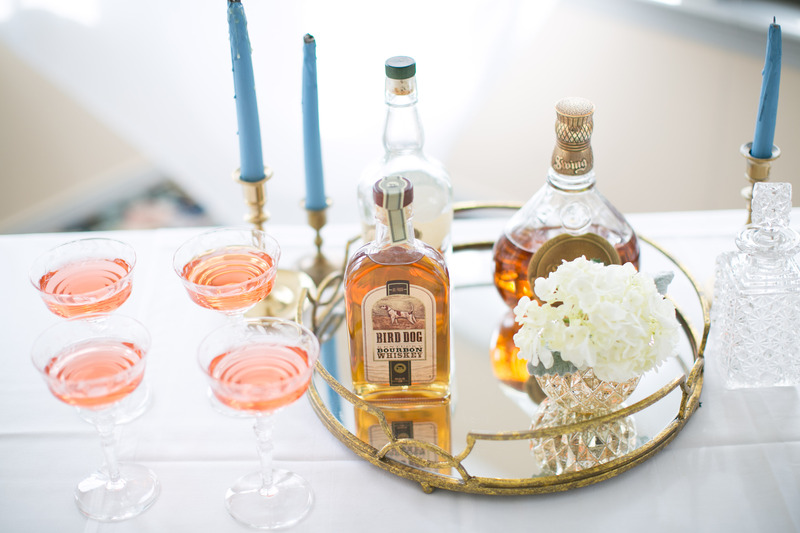 – Prep drinks + apps: Arrange your apps and prep your drinks prior to your guests’ arrival. Enlist in a friend to help plate the apps and get the drinks flowing. – Make it festive: Give your bar a decorative layer (just like you would your mantle or dining table).